Wild Weekly Photo Challenge for bloggers. This week’s Challenge is: Look Up! Climbing lion – Queen Elizabeth National Park, Uganda. Wonderful photograph! Looks like this lion thought he was a leopard. 😀 ! Grande Stefano ! Bella e divertente ! 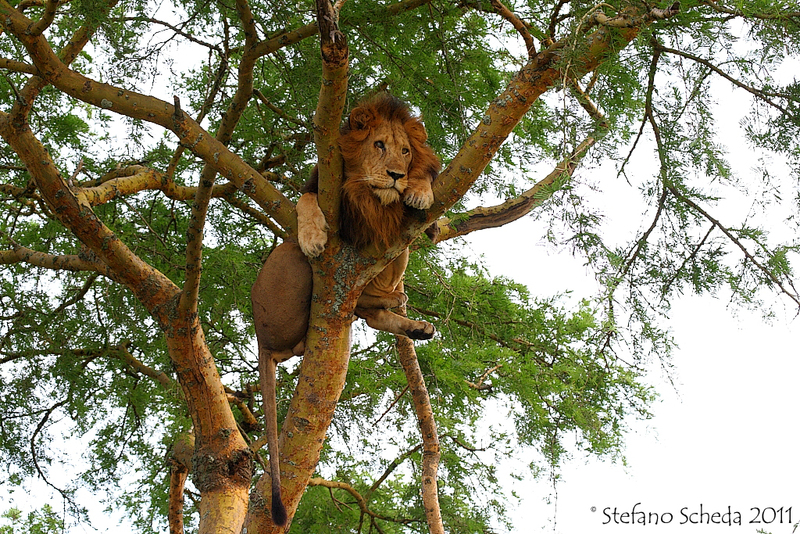 Love this… I’ve never seen a lion in a tree before. This looks unbelievable! I have never heard of it before. Thihi… It looks like he has fun up there. What a marvellous photo… Splendid!! Congratulations on winning the photo challenge, Stefano. Wonderful image! Congrats on your win Stefano! Excellent photo! I am glad that these are not in my trees but what a sight to behold.